A dike in Central China's Hubei province breached Sunday afternoon, causing substantial flooding and resulting in the relocation of residents, local authorities said. 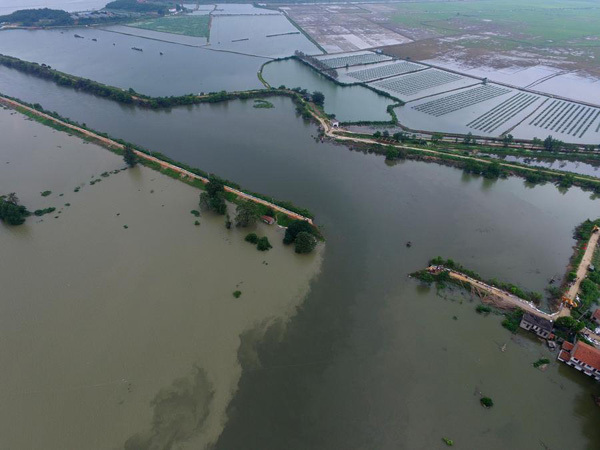 Around 200 residents from two districts in Wuhan City had been transferred prior to and after the breach, which happened at a flood detention basin at 12:50 pm, the local flood control office said. More than 1,000 rescuers have been dispatched to the scene. So far, they have rescued over 70 people trapped by the rising flood waters. The area has cut off power and natural gas supplies while preparations are being made to fill the breach.